Classic bungalow meets mid-century,California-cool set in an urban oasis,blocks from popular Morningside shopping/dining destinations.Main floor boast 2 bedrooms,full bath,living rm,dining rm & den off jaw-dropping 2 story kitchen w/custom cabinetry & seamless flow to backyard once published in Garden,Deck & Landscapes.Oversized master suite occupies 2nd floor & features sitting rm,immense closet space & private balcony.Intricate deck system invites you to enjoy the gorgeous gardens highlighted by water features & flora & punctuated by conversation provoking yard art. Directions:From N Morningside, take Cumberland to right onto Wessyngton. Home almost immediately on right. From N Highland, take Wessyngton to house on left (almost) at corner of Cumberland. SchoolsClick map icons below to view information for schools near 1490 Wessyngton Rd NE Atlanta, GA 30306. Home for sale at 1490 Wessyngton Rd Ne Atlanta, GA 30306. 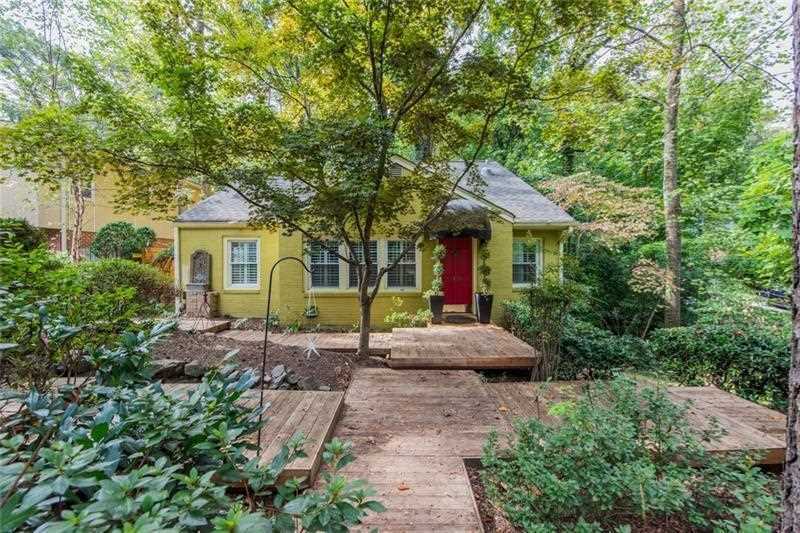 Description: The property at 1490 Wessyngton Rd Ne Atlanta, GA 30306 in the Morningside subdivision with the MLS# 6129475 is currently listed for $529,000 and has been on the market for 72 days. You are viewing listing details of the home for sale at 1490 Wessyngton Rd Ne Atlanta, GA 30306, which features 3 bedrooms and 2 bathrooms, and 2053 sq.ft. of living area.